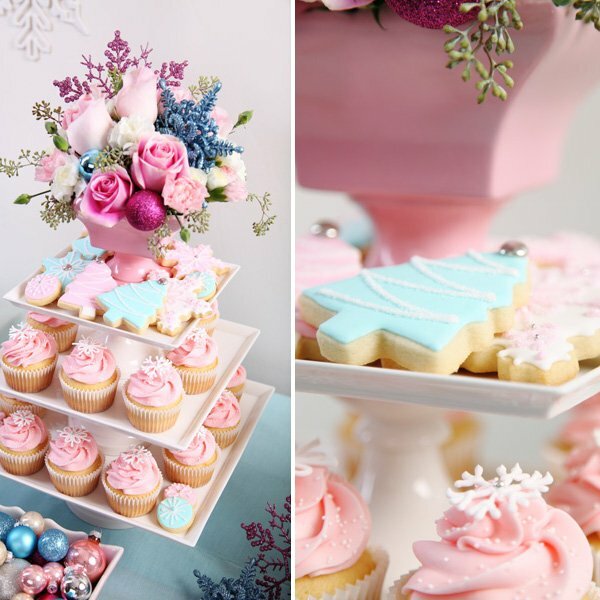 Glory of Glorious Treats sent in these beautiful shots of the creative “Vintage Pastel Christmas Dessert Table“ that she put together for a holiday party this year. 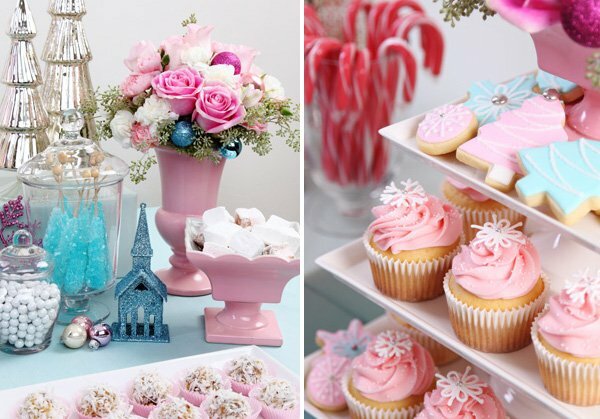 Inspired by the lovely vintage pink pottery that’s incorporated into the design, the table features a vintage-pastel palette of pink & blue, plus sparkly holiday accents, colorful floral arrangements, and a variety of gorgeous treats. I seriously just want to pull the pretty iced sugar cookies right out of the screen! 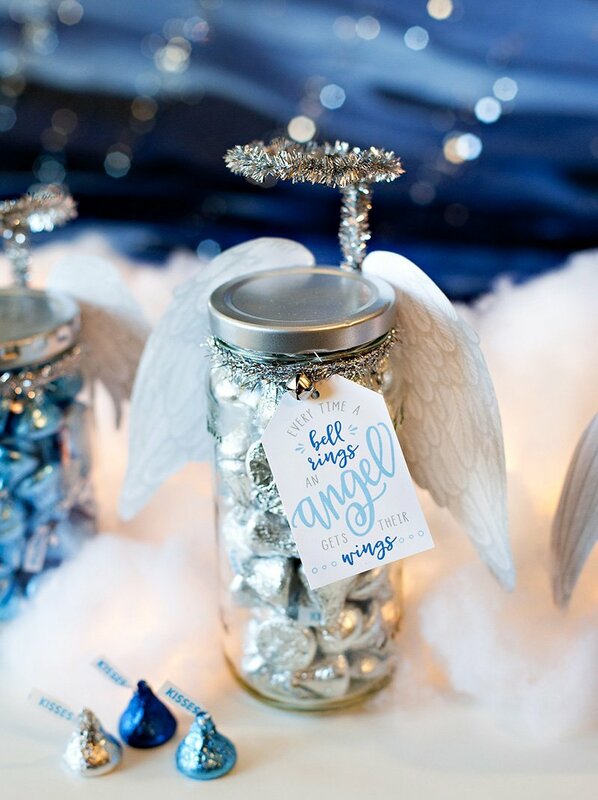 “I’m so excited today to be sharing a special Christmas project I’ve been planning for several months! 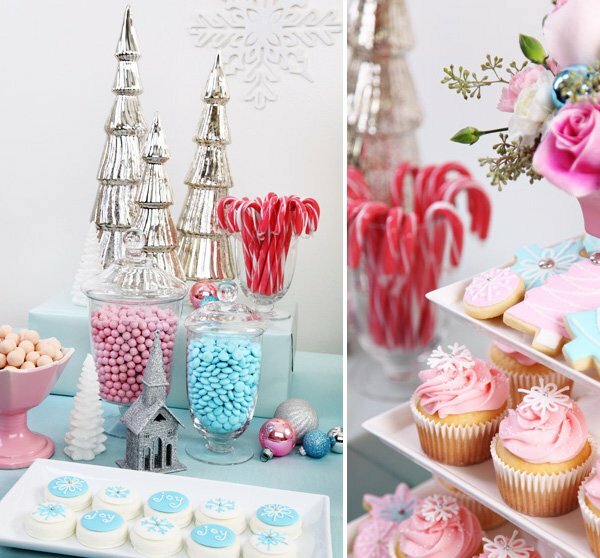 This year I wanted to create an extra-special dessert table for a home holiday party…something to kick off the Christmas season in style! So, so, SO very pretty! I’m a huge fan of Glory’s work…she’s crazy talented! Gorgeous!! It all looks so precious! Absolutely gorgeous Glory! The photos are nicely done too! Beautiful color palette and delightfully inspiring! 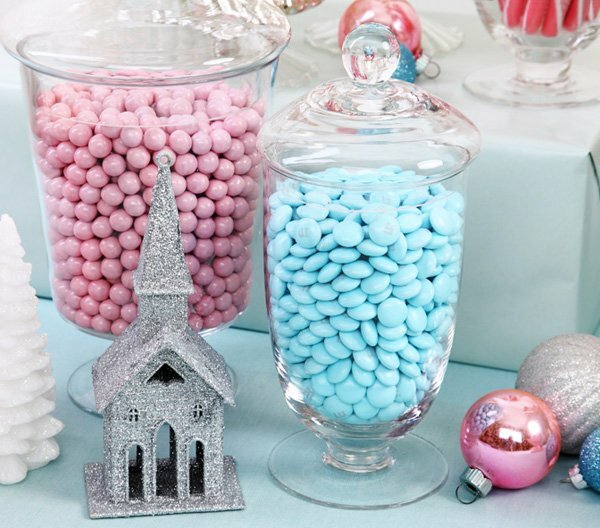 Truly adore the dreamy colors and gorgeous treats. I’d like to jump right in to those sweets! How delightfully unique! 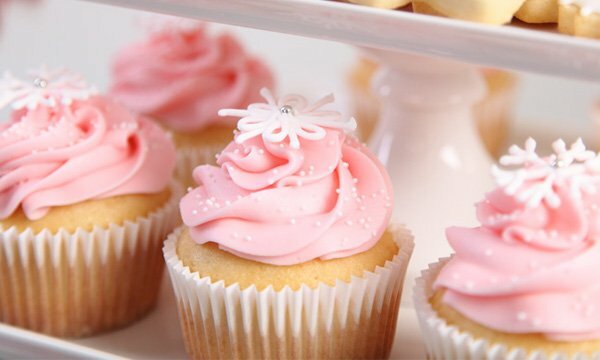 I just love those snowflakes on the cupcakes. Everything is simply beautiful! 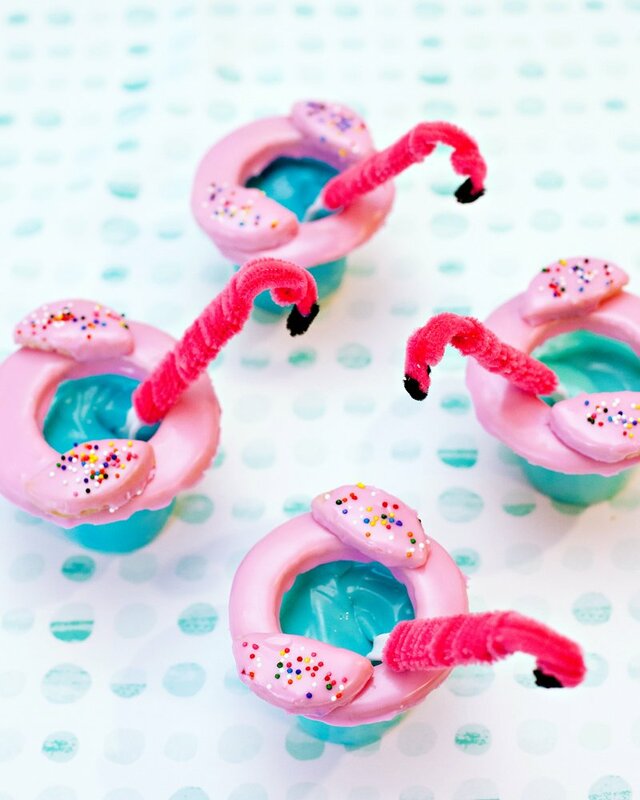 This is so beautiful – it’s also making me very hungry! Glory is absolutely one of my favorite bloggers. Everything she touches turns to BEAUTIFUL! Sort of a Midas touch, but instead a Glorious touch, and in this case, silver. Keep ’em coming. This is breath taking! STUNNING, Glory!! Congrats on this beautiful feature! Glory-ous!!! So pretty! 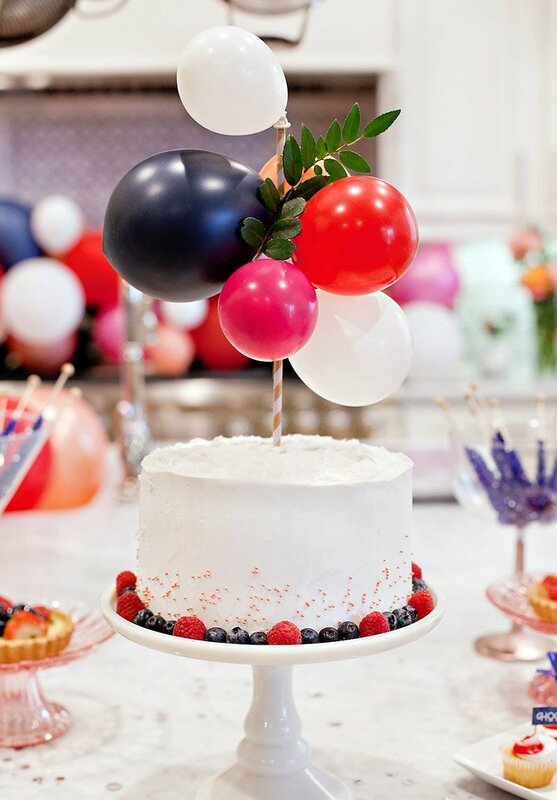 This is so festive but looks so brand-new. 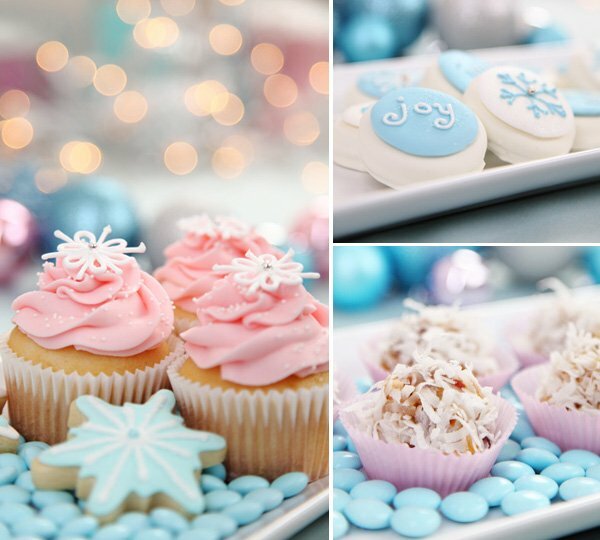 The shot of the 2 cupcakes with a snowflake cookie and the lights in the background is AMA-ZA-ZING! 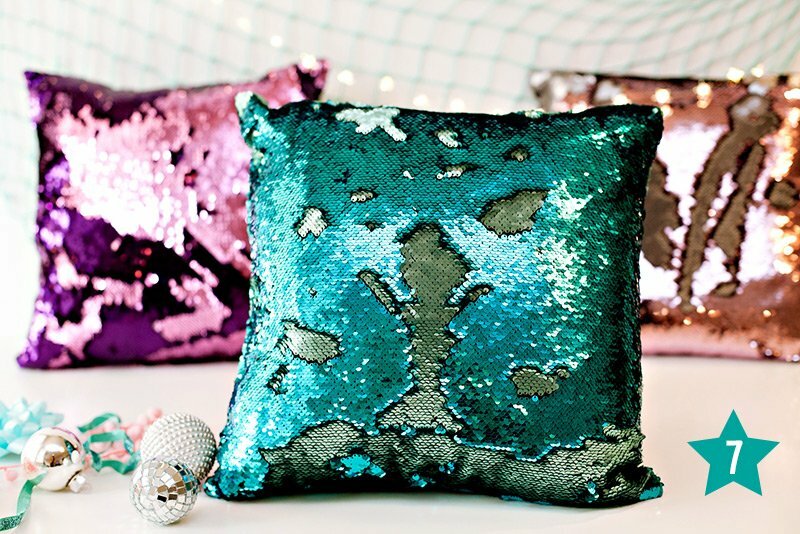 This is my favorite color scheme! Matches my tree perfectly. I’m pretty much drooling. 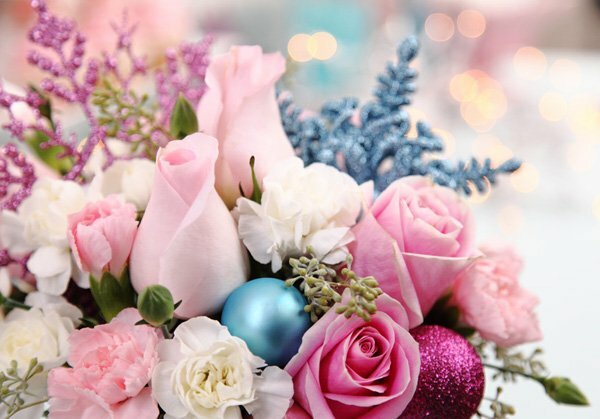 I had never thought about pink roses being festive! And I agree with the compliment on the picture with 2 cupcakes and lights in the background. Great work!!! This is my Christmas theme all through my house. I absolutely adore/love/obsessed with this. This is so gorgeous and it captures Christmas and the wintery wonderland that it can be. I love love love it. 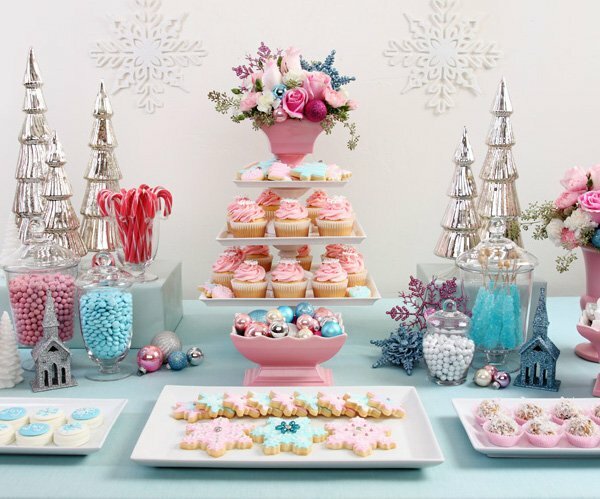 Oh my stars … this has to be “The” most beautiful dessert table I have ever laid my eyes on!!! These photos are so amazing! 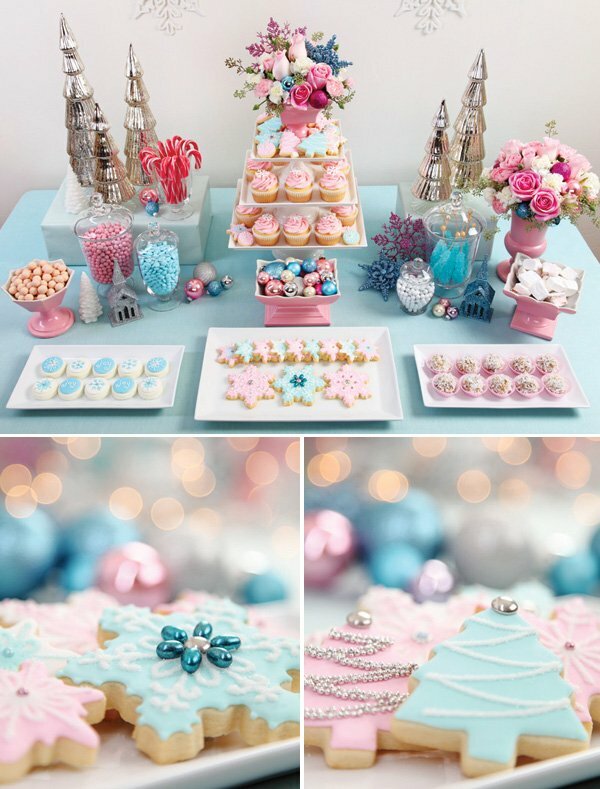 The pastel colors for the holiday is such a fresh idea and I like it! The desserts look absolutely amazing! 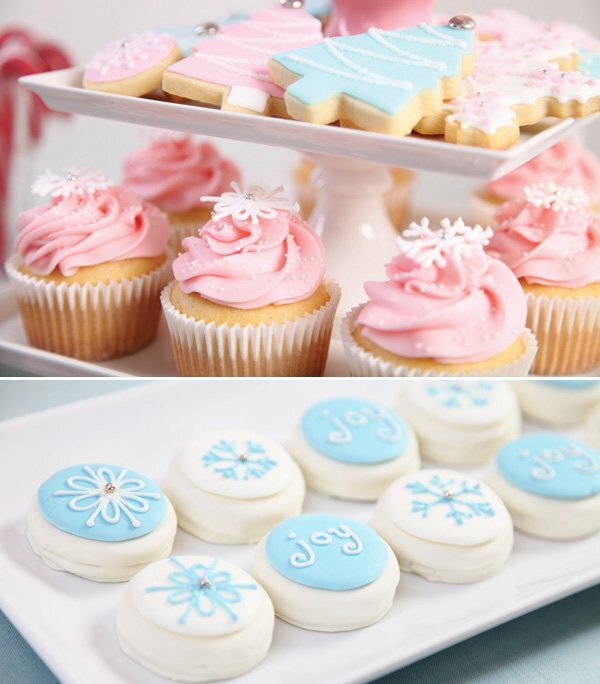 Very nice….I think my fav are the cupcakes with those cute little snowflakes and the color combinations are lovely. 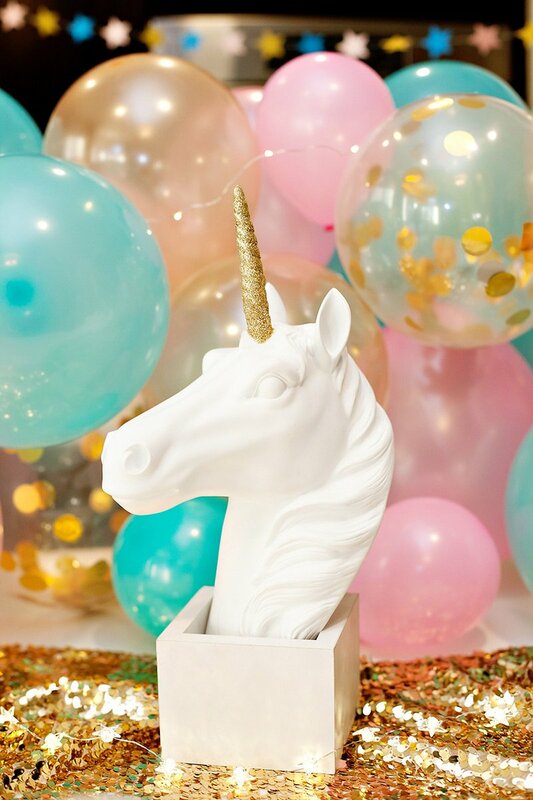 This is absolutely beautiful -I’m going to include it in my blog as part of my favorite things and include you and glorious treats at chicbusymom.blogspot.com. Absolutely gorgeous!! 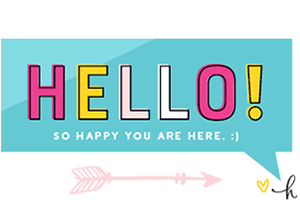 Love the pastel goodness!! I am kind of OBSESSED with this! Absolutely gorgeous, love the colors – truly inspired.